Service beyond the expected ! 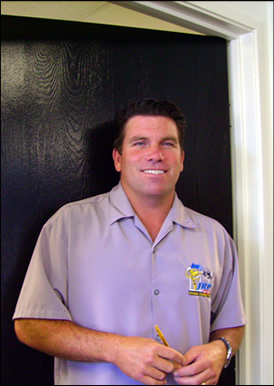 Founded in 1981 by Bob Park and his father - John, Park Window Cleaning grew quickly into a thriving business, based on their vision and focus on providing nothing short of complete customer satisfaction. By the time of his passing six years later, John Park's contributions had left Bob well-positioned to build up the momentum of the business and create JRP Services, which by 1998 had grown a field-force capable of servicing over 5,000 client/customers over a greatly expanded territory in the Western United States. The scope of the JRP vision was also widened to include a window-tinting business and a number of new, related services - including: window and glass tinting, scratch removal from glass, stain removal, glass and window protection, cleaning and pressure washing, and tub repairs and refinishing. Though window cleaning is the company's legacy, the key to JRP Services current and future success lies in the development over the past years of a unique and comprehensive system for scratch removal and window protection. This system has been proven to eliminate expensive replacement costs for builders, homeowners, hotels, airports.....really anyone with an interest in keeping windows and other glass and acrylic surfaces undamaged and scratch-free. Glass is everywhere, and it's here to stay, and so are the hazards glass is exposed to - dirt, construction damage, incidental scratches, even vandalism and graffiti.